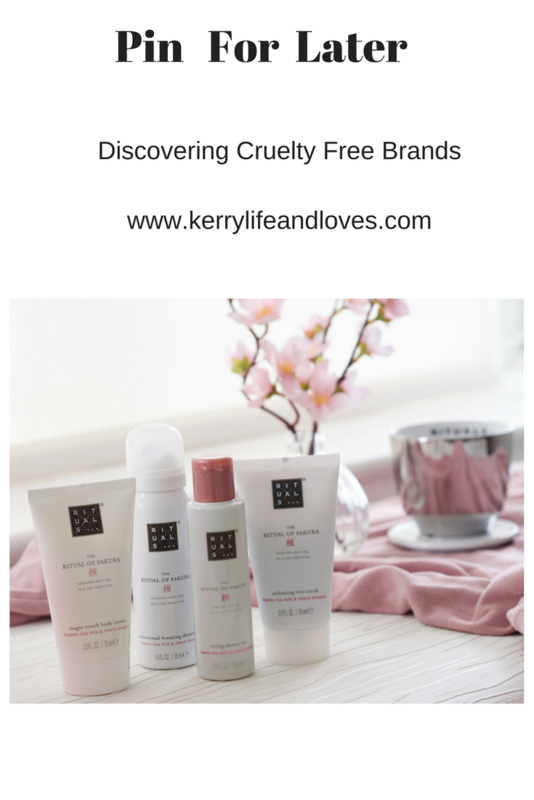 As you know, I am on a quest to discover and change over totally to cruelty free brands, and this latest discovery could not be more up my street. I was looking for a gorgeous candle to put with my Mum’s mothers day present, and came across this store in Bluewater shopping centre in Kent. I was enticed into the store by the prettiness of their product display, and as soon as I walked into the boutique little shop I knew I was onto a winner. If you have been with me a while, you know I cannot resist pretty packaging! This packaging is simple and zen, I love it. The store assistants are in a uniform of spa tunics, and beautifully made up and presented. I was greeted with a huge smile by one of them, and asked if I would like a green tea while I browsed. How delicious! So, I learnt that the store bases its entire philosophy on Asian Rituals. Its about taking joy in the seemingly, meaningless moments in every day. A nice hot bath, a beautiful scent in your home, these small things that we perhaps overlook. Basically, finding the happiness in the smallest of things. Each scent, each product range, is inspired by a simple ritual. That is 100% a bit of me! They also operate a strict no animal testing, cruelty free policy, including all ingredients that go into the products. Rituals supports initiatives that are environmentally safe, socially conscious and have high eco policies. They also support charities such as The Tiny Miracles Foundation, which aids children at risk and underprivileged in India. I absolutely love a company that gives back. It is something I wish we saw more of. They had a centre table full of candles under glass bell jars, so I set about doing the sniff test that we all do. You know you do it ladies, its in our DNA, we have to smell and sniff everything don’t we! There were quite a few of the candles that I really liked, but decided on the Ritual of Happy Buddha, a gorgeous Sweet Orange andCedar candle one for my Mum, which she was thrilled with. I popped back to the store this week as I wanted to explore the products more and treat myself with something from there. I have slowly been working through my stash of body products, so felt it was acceptable to buy myself a little somin somin. I love light body lotions, that are gorgeously scented. When I had bought Mum’s candle I had been given a sample of a body lotion from the Ritual of Sakura range. Cherry blossom and organic rice milk are combined to create this scent, and its light, slightly sweet and floral. Its lovely. The range has quite a few products in it, from moisturising shower foams to refreshing body mists. I was undecided on what to get, (I wanted it all) so ended up purchasing The Ritual of Sakura Gift Set, a gift set that had smaller sizes of four of the products, all for just £19.50. A great introduction to the range I feel. As Iv already mentioned, each of Rituals product ranges are inspired by Asian rituals. This one, Sakura, is to represent the ritual of the annual flowering of the cherry blossom, the sakura. They believe that this annual flowering is an awakening of nature, and that beauty is momentary, and that life must be enjoyed. The Ritual is to remind you that each day is a new beginning. I blooming love this, it speaks to my soul. The products that came in my set were a shower foam, shower oil, body scrub and a body cream. They all came in a sturdy, re-usable pink gift box, which I am currently using to store my hair accessories in. I have tried the shower oil, scrub and body cream so far, and they are amazing. The scent really lingers on the skin, and I find it a very comforting, relaxing scent. The shower oil feels like it moisturises your skin even when dry, I love it! It makes it perfect for an evening pamper. I wish I had also purchased the Sakura scented candle, as I think this would have been gorgeous lit in my room to complete my evening of pampering. Oh and the Sakura bath foam… I may have to place a little online order…. Bloggers Made Me Buy it………. "A Date With Churchill and Lunch At The Westbury"
Well that’s a bit tempting isn’t it! Good to know, I love these kind of products I will check it out. Yes, I really enjoy pampering myself at home. I pamper myself by doing masks and baths. My favorite bath and body products are Le Petit Marseillais, Kiehls, Lush, L’Oreal, Kate Somerville, Dr Brandt, Neutrogena and Mizon (Korean beauty product).